After a year of false imprisonment, Yaqui water rights defender Mario Luna was released from prison. Earlier a judge ordered the release of Mario, tribal secretary of Vicam Yaqui, and Mexico refused. Censored News traveled to Sonora, Mexico, and provided live coverage when Vicam Yaqui began the long highway barricade in defense of their water rights to Rio Yaqui. Mexico built an aqueduct to divert water from Rio Yaqui to the City of Hermosillo. 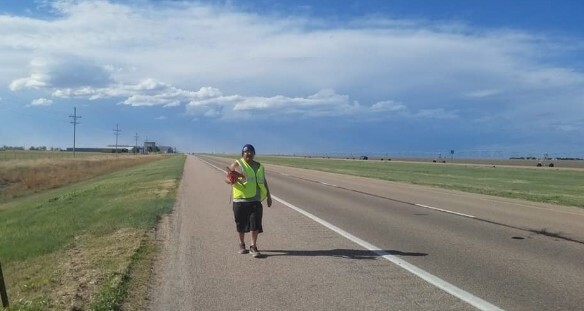 During the Vicam Yaqui highway barricade in the community, Mario was spokesman for Vicam Yaqui Pueblo. Yaqui Spokesmen Mario Luna and Fernando Jimenez Guiterrez were abducted and imprisoned. Jimenez was released in August. The National Indigenous Congress and Zapatistas support the defense of Yaqui water rights. MNN. REFUGEE PROBLEM - AGAIN! Censored News Begins its 10th Year!